How much money do you think you need to be considered wealthy in Philadelphia? That's one of the questions bank and brokerage firm Charles Schwab pitched to 500 Philadelphia residents for a research study surrounding perceptions of wealth. When asked to quantify what constitutes wealth in Philly, the survey participants came up with a very specific figure. "Residents say it’s an average of $1.7 million, or more than 20 times the actual median net worth of U.S. households according to the U.S. Census Bureau," Charles Schwab said in a release accompanying their research. That isn't to say most Philly residents view this as an attainable benchmark. Among those surveyed, 36 percent said they are already millionaires or believe they can reach that level. The majority, 64 percent, said they have no hope. 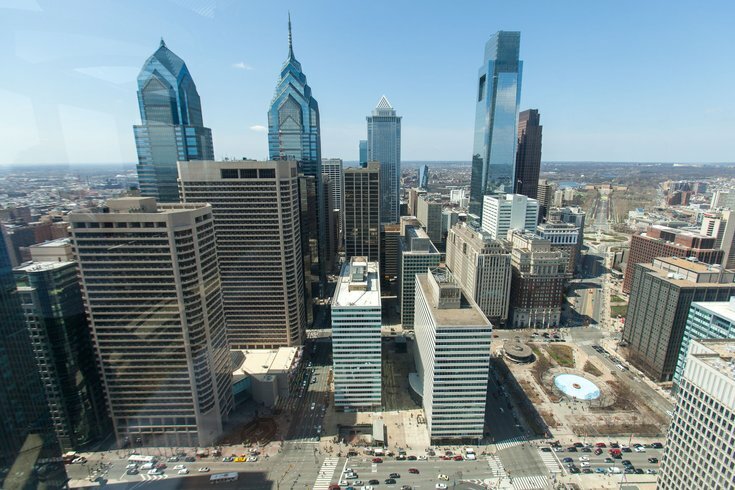 Charles Schwab used its own Modern Wealth Index, a 1-100 scale based on four factors of investing, to compare Philadelphia with the rest of the country. Based on measures of goal setting and financial planning, saving and investing, staying on track and confidence in financial goals, Philadelphia landed a score of 47. While the score trailed the national average of 49, Philadelphians outpaced most Americans in the area of debt management. Nearly half of Philadelphians (47 percent) reported that they make all of their loan payments on time or have no loans at all compared to 43 percent of Americans as a whole. Notably, 85 percent of those surveyed said they feel Philadelphia's local economy is in better shape than or comparable to the national economy. About two-thirds said the city has one of the best food and dining scenes in the country. Another 64 percent said Philadelphia is one of the best U.S. cities for arts and culture. And for what it's worth, plenty of those who were asked didn't define wealth in strictly financial terms, citing family wellbeing, physical health and gratitude as qualities just as important as having a lot of money.